Health Tourism – How far Will You Travel? 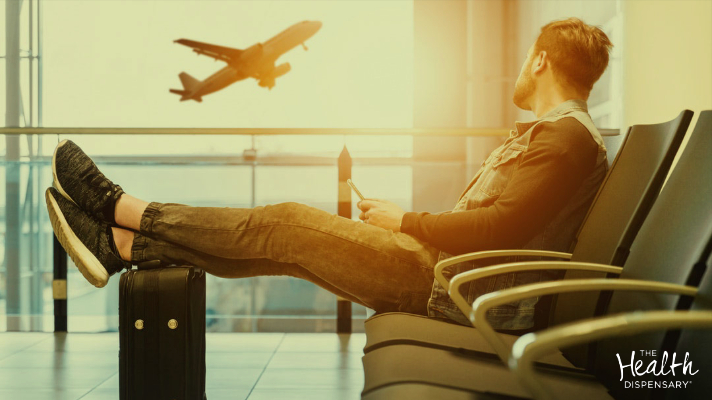 Travel’s become part and parcel of today’s lifestyle, foreign trips become more far-flung, stag and hen parties travel further than they used to, people often think nothing of hopping on a plane to see a rugby or football match. Health tourism has also become a new phenomena. Initially it may have been just for plastic surgery but now travelling for dental work, hair transplants and other operations are becoming more common. This may be the result of longer NHS waiting lists or keener prices, but many people combine their procedure with a recuperative holiday. Whilst many will travel to London in a day for a theatre show, or shopping, as we’re situated in the metropolis of Neath, we’re often intrigued to find out where our non-local visitors are from and what motivates them to put in the miles to come and see us. 90 Mins Drive For Weight loss Advice? When we first starting our Lipotrim weight loss service, there were few other pharmacies in South Wales doing it, so we had many customers from the Heads of the Valley region- Merthyr Tydfil, Ebbw Vale travelling down weekly for their appointments and weigh-ins. I think my furthest client was from Haverfordwest which was over an hour and a half drive away. Specialism in an area is probably a factor, and as always finding a practitioner you like and trust. I regularly used to travel from Neath to Cardiff for my hairdresser, as once you find a good one you tend to hang on to them. Sometimes people are quite likely to travel out of their home area if confidentiality is key. As health practitioners we are obviously signed up to the highest code of practice, but one cannot always help being spotted in a local neighbourhood. I remember having to do the walk of shame through the GUM clinic in Leicester (yes the one for sexually transmitted diseases). It wasn’t that I was having that good a time at university rather I needed to get to a ward the other side where my research project was. Often its quite nice to be anonymous! Fertility tourism is another growing trend. Often people will travel to a developing county if cheaper, to countries where medical treatments are legal when not in their own, or if it is more immediately available. One of our clients who happily became pregnant later down the line, travelled all the way from Gloucestershire. Along the M5 in reality its just 1 ½ hours away. Does Size Of The Country Play A Part? Do we limit ourselves by placing boundaries on our own expectations of accessibility? I remember once in the States jumping in the car to pick up a Chinese takeaway. I was desperate to try those little square boxes you always saw on the TV or in movies. Nearly an hour later we arrived at the restaurant, nothing to our American hosts who were used to travelling larger distances for virtually anything. Locally I can’t see many people in Neath wanting to drive that far. Medical tourism is not new, it happened in the Grecian era, and also in Victorian times people would visit the spa towns like Bath and Cheltenham, in Wales the equivalent of Builth and Llandrindod Wells. Then it was for the mineral water baths which were believed to heal many afflictions. Surprisingly one author* suggests that medical tourism is promoted much more heavily in the United Kingdom than in the United States. I’m not sure we would initially think of this, but it is perhaps a sign of the struggles of the NHS to keep up with demand. Certain EU countries are approved to provide NHS treatment and many developing countries would be keen to get in on the act especially in light of any changes to do with Brexit. Trying to research how we prioritise health, I hit a bit of a brick wall. All the answers reflected NHS and public health priorities. In other words, other people telling us what to do. The birth of the NHS was momentous in providing free healthcare to all, but in my opinion robbed us of many traditional self-care skills and the responsibility to look after our own health. Suddenly there was a wonderfully helpful family GP who looked after you, visited the house when necessary and offered a magic bullet by way of paper prescription. Mental Well Being Not Just Physical Well Being. As life becomes faster paced and some may say more shallow, we are also seeing a rise in numbers of people doing pilgrimages or retreats. I was lucky enough to visit Santiago de Compostela recently, a city historically used by the Catholic Church for pilgrimage. Its history actually precedes that and often the end point of the pilgrimage would be Finisterre which was thought to be the end of the world. Pilgrimages in olden times could be religious but also seen as a challenge, perhaps an early adventure holiday! Where you could find out more about yourself and learn from other travellers you met on the way. Churches were regularly used as early versions of bunkhouses and probably where the term giving refuge emerged. Is the distance travelled related to Health Outcomes? Its a concern for many people when hospitals and the like move further away from where they live and this may be for reason of transport, cost, to be close to loved ones etc. This is not to be underestimated with a BMJ article+ suggests the distance people live from such health resources may well have an effect on health outcomes. To emphasise what we are talking about here is the choice to travel and the opportunity to do so to improve ones health. Its interesting to see how priorities may be changing with the stresses and strains of everyday life. I heard briefly on BBC Breakfast the other morning that holidays are now being taken as a form of self-preservation. The discussion was around mental health and I wonder if we are coming round full circle to that idea mentioned above of a refuge or pilgrimage. Holy days became the word holidays – I sense we are becoming more aware about the gift of vacation.